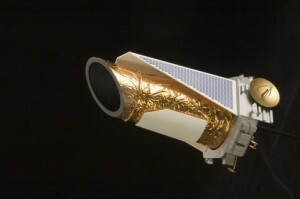 Has Kepler Discovered Alien Signals? I saw this article on the Net that I thought was interesting, and you will too. According to US Scientists Work to Decipher Possible ‘Alien’ Signals, University of California-Berkeley’s Kepler team is taking a look at what might be signals from extraterrestrials.According to a Project spokesman, “These signals look similar to what we think might be produced from an extraterrestrial technology.” This sounds quite promising, but some of the scientists involved say not so fast, the signals may wind up being nothing at all.I have often wondered, and maybe you have to; if they did find a legitimate signal, would they tell us? Have they already found one, and are keeping it secret? References to God and religion: -When Nicolas Cage was teaching his class about the solar system and they were debating whether it was made by randomness or if everything had an order and a plan. If the earth were a short .